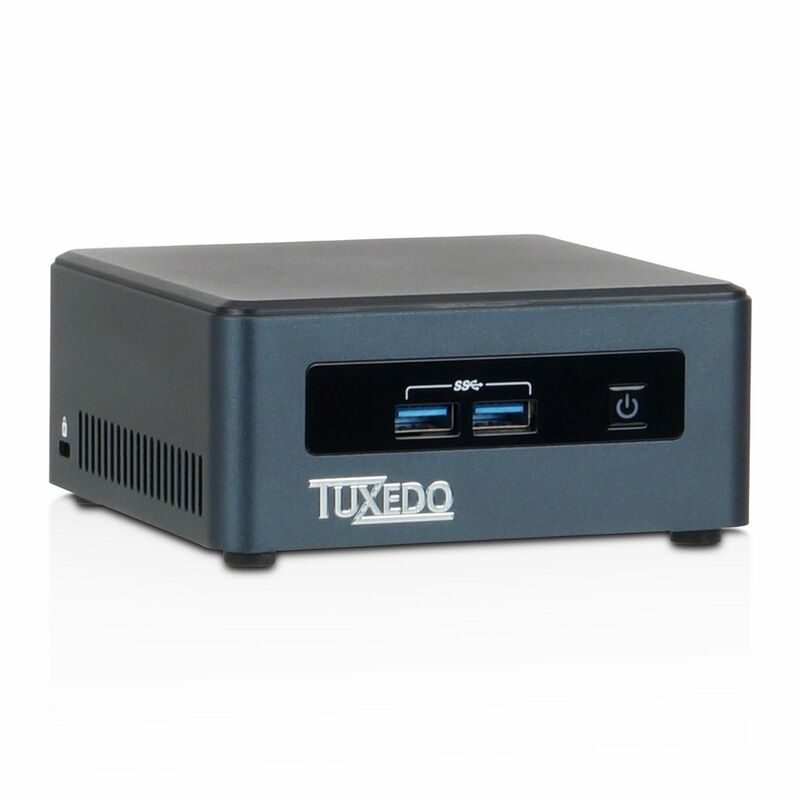 TUXEDO Computers is known for building custom PCs or notebooks. They focus on Linux-powered systems while making sure that the hardware configuration they put together is completely compatible with Linux distributions. 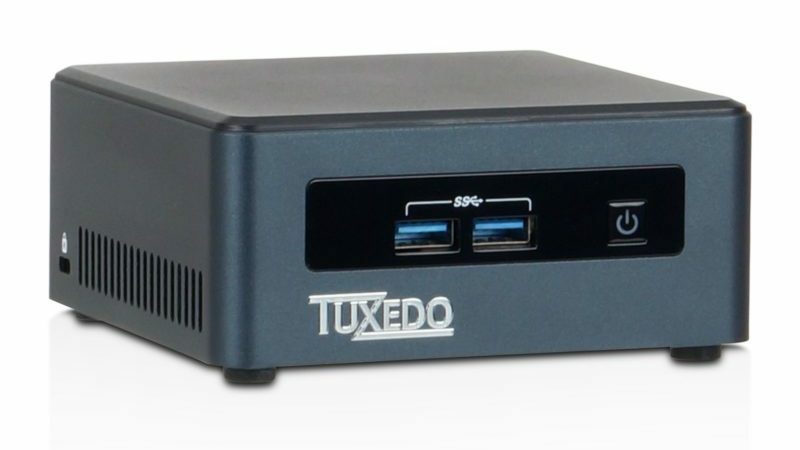 Recently, they pulled the curtains off a new product and revealed the TUXEDO Nano – which is a Linux-based mini PC (just about the size of a Rabbit or even smaller). Fret not, it is only smaller in the dimensions you measure with, you won’t be disappointed by the computing power it has to offer. Well, to be exact, the TUXEDO Nano measures just 11.5 x 11.1 x 5.2 cm. What are the hardware configurations offered? It features 8th Gen Intel mobile (Kaby Lake Refresh) processor i.e up to i7-8650U – with the high-end configuration. In addition, it can be coupled with up to 32 Gigs of RAM (DDR4 Memory). You can pack in a M.2 SSD along with another SATA3 SSD/HDD for storage. Also, you get 4x USB 3.0 ports. For connectivity, you have the usual Gigabit LAN, WLAN, and Bluetooth. While it is not a gaming-ready rig or something which is suitable for video editing, it still offers a lot of computing power for just about anything else. Along with the computing power, you get the advantage to save a lot of space in your workplace/room instead of a system inside a big cabinet. And, because it happens to utilize the mobile processors (meant for notebooks) – it is power-efficient. The company claims that it can handle two 4K screens connected in parallel or four 2K screens via HDMI 2.0a. It lets you choose between Ubuntu / Ubuntu Budgie (latest 64-bit version). For advanced users, it also offers OpenSUSE 15 with XFCE, Gnome, or KDE plasma. If you choose to, you can also have Windows installed alongside Linux or just keep it as the primary OS for your PC. Considering the size of it and the space it saves – while being easily portable – € 498 is not a bad price tag to start with for the lowest hardware configuration with i3-7100U. You can find more detail on the product page. Now, what do you think of it? Is it the mini PC you waited all these years? I am not sure. You can ask Tuxedo people. Considering that you’ll have to pay customs on it, I won’t recommend importing it. Very similar in size and abilities to some of the Gigabyte Brix range. I use a Brix as my computer here on my boat in Turkey, running Elementary OS, or Windows 10 from external USB3 SSD drives. I only take the drives home with me and can use them at home in an identical Brix, or indeed boot any computer from them. All my data is secure because neither computer contains a hard disc and the operating systems, programs and files reside on the portable SSDs only. Of course running them from USB3 is slower than having an internal SATA connection, so what I really want is a small footprint PC with a SATA dock to take slot in 7mm SSD drives. 500 Euro! that’s not cheap and it looks like an Intel NUC to me in any case. Might as well build it yourself and they can keep that way too big, ugly and fake looking Tuxedo emblem.